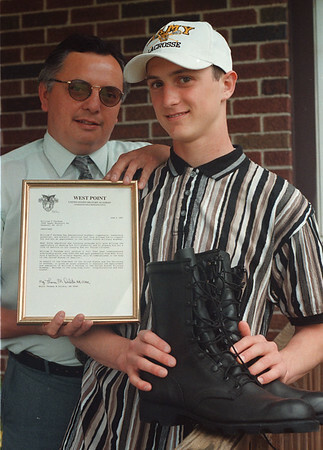 6/18/97--William Farnham--Takaaki Iwabu photo-- Bill Farmham III, right, is the second Tuscarora Indian to be accepted into West Point (United States Military Academy). The first was his uncle. Holding the admission certificate is his father, Bill Farnham Jr.